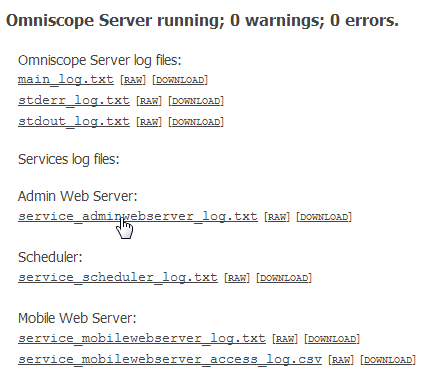 Health monitoring: where users can monitor the health status of the server, download the error reports and delete them. 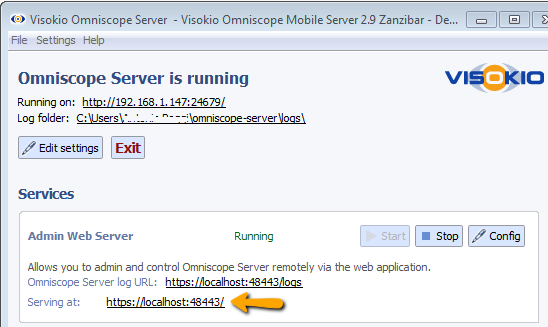 By default it runs on localhost to allow only local machine access. It is recommended that you make sure you configure the Admin Web Server to use HTTPS. The web application requires authentication, and at first run it will ask the user to register the admin account. 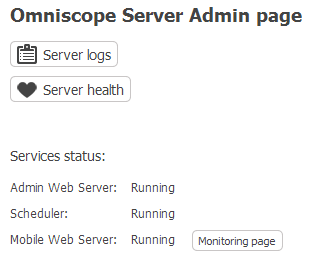 In future it will allow users to fully manage Omniscope Server and services configuration simply from a web browser, without having to start the Omniscope Server application UI.